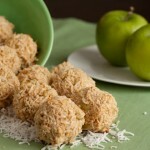 Sugar-free apple macaroons made sweet with shredded apples. Gluten-free, paleo, vegan and grain-free. Preheat oven to 325F and line a cookie sheet with parchment paper or a silicon baking mat. In a medium sized bowl, combine all ingredients and mix until fully incorporated. 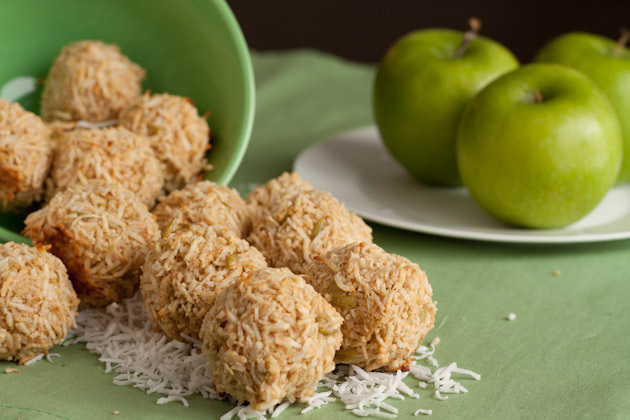 Form mixture into golf-ball-sized balls, place on prepared cookie sheet and flatten just slightly. Bake for 10-15 minutes [mine were perfect at 14 minutes] or until golden. Allow to cool for 10 minutes before enjoying.